R. Kazman and L. Bass, Toward Deriving Software Architectures from Quality Attributes, tech. report CMU/SEI-94-TR-10, Software Eng. Inst.， Carnegie Mellon Univ.， 1994. F. Buschmann, “Value-Focused System Quality，” IEEE Software, vol. 27, no. 6, 2010, pp.84.86. 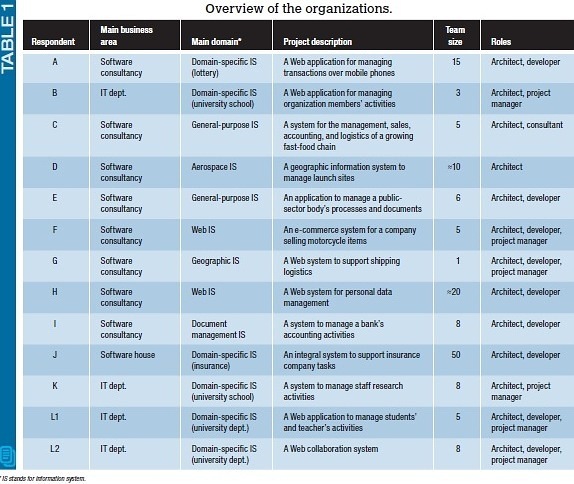 P. Kruchten, R. Capilla, and J.C. Duenas, “The Decision Viewfs Role in Software Architecture Practice,” IEEE Software, vol. 26, no. 2, 2009, pp. 36.42. L. Chung and J.C.S. do Prado Leite, ”On Non-functional Requirements in Software Engineering,” Conceptual Modeling: Foundations and Applications, A.T. Borgida et al.， eds.， Springer, 2009, pp. 363.379. R. Conradi et al.， ”Reflections on Conducting an International Survey on Software Engineering,” Proc. Intfl Symp. Empirical Software Eng.， IEEE, 2005, pp. 214.223. D. Ameller et al.， gHow Do Software Architects Consider Non-functional Requirements: An Exploratory Study，h Proc. 20th IEEE Int‘l Requirements Eng. Conf.， IEEE, 2012, pp.41.50. U. van Heesch and P. Avgeriou, “Mature Architecting-a Survey about the Reasoning Process of Professional Architects,” Proc.9th Working IEEE/IFIP Conf. Software Architecture (WICSA 11)， IEEE CS, 2011, pp.260.269. R.B. Svensson, T. Gorschek, and B. Regnell, “Quality Requirements in Practice: An Interview Study in Requirements Engineering for Embedded Systems,” Requirements Engineering: Foundation for Software Quality， LNCS 5512, Springer, 2009, pp. 218.232. M. Ali Babar, L. Bass, and I. Gorton, “Factors Influencing Industrial Practices of Software Architecture Evaluation: An Empirical Investigation” Software Architectures, Components, and Applications, LNCS 4880, Springer, 2007, pp. 90.107. A. Borg et al.， “The Bad Conscience of Requirements Engineering: An Investigation in Real-World Treatment of Non-functional Requirements,” Proc. 3rd Conf. Software Eng.Research and Practice in Sweden (SERP 03)， CSREA Press, 2003, pp. 1.8. B. Nuseibeh, “Weaving Together Requirements and Architectures”， vol. 34, no. 3, 2001, pp. 115.119. J.P. Carvallo and X. Franch, “” Extending the ISO/IEC 9126-1 Quality Model with Non-technical Factors for COTS Components Selection,h Proc. Intfl Workshop Software Quality (WoSQ 06)， ACM, 2006, pp. 9.14. Software Engineering.Software Product Quality Requirements and Evaluation (SQuaRE).Guide to SQuaRE, ISO/IEC 25000, International Org. for Standardization, 2005. R.B. Svensson, M. Host, and B. Regnell, gManaging Quality Requirements: A Systematic Review，h Proc. 36th Euromicro Conf. Software Eng. and Advanced Applications (SEAA 10)， IEEE CS, 2010, pp. 261.268. U. van Heesch and P. Avgeriou, "Mature Architecting.a Survey about the Reasoning Process of Professional Architects"， Proc. 2011 9th Working IEEE/IFIP Conf. Software Architecture (WICSA 11)， IEEE CS, 2011, pp.260.269. A. Borg et al.， “The Bad Conscience of Requirements Engineering: An Investigation in Real-World Treatment of Non-functional Requirements”， Proc. 3rd Conf. Software Eng. Research and Practice in Sweden (SERP 03)， CSREA Press, 2003, pp. 1.8. J.L. de la Vara et al.， “An Empirical Study on the Importance of Quality Requirements in Industry，” Proc. 23rd Intfl Conf. Software Eng. and Knowledge Eng. (SEKE 11)， Knowledge Systems Inst. Graduate School, 2011, pp. 438.443.